I’ve said it before and I’ll say it again, and again – and again: I love archivists! They are the keepers – the restorers, sorters, preservers – of our documentary and artifactual past. Without archivists and their work, we risk having no “history” upon which to build an informed future. Each of the ~56 medical schools enrolled in the program had a V-12 unit, typically with a junior naval line officer in command, to which the navy medical students were assigned for administrative purposes. Students wore navy (Midshipman?) uniforms, and received a junior enlisted man’s salary. According of one source, men in the Navy program were not required – or the requirement was not enforced – to perform military drill, in contrast to their Army colleagues. This apparently caused no end of amusement among the Navy doctors-in-training, as they watched their Army colleagues sweating on the drill field while they lounged in the comfort of their dormitories! The Navy received an allotment of 25% of the slots in each medical school class; this could be expanded by about 3% if the 20% of civilian slots were not filled. Medical schools continued to use their method of selecting students. Other than with the accelerated program of instruction, Navy policy was not to interfere with medical school administration and curriculum, with a couple of exceptions born of military necessity: a course in military medicine / surgery was added; and the usual class in tropical diseases beefed up. Once they graduated and received their commissions, the new medical officers were subject to a strict Navy requirement for “rotating” (vs “specialized”) internships.^ Here again, military contingency ruled the day: after their abbreviated 9 month internships, these men would be assigned to shipboard duty or duty in remote locations, where a general and well-rounded medical knowledge was required. 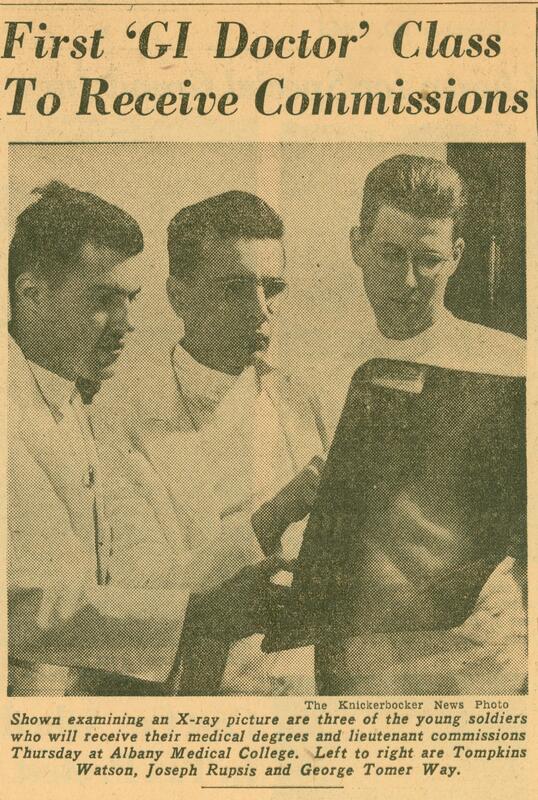 No superspecialized young doctors in the jungles of Guadalcanal! Altogether, about 4600 physicians and dentists graduated from the V-12 program. One writer asserted that at the end of the war, nearly a quarter of Navy medical officers were products of the V-12 Medical program. * The Army Special Training Program was an equivalent, and much larger, operation. ^ Rotating internships have the new doctors serving rotations for experience and training in the major areas of the medical arts: internal medicine, general surgery, obstetrics/gynecology, pediatrics; with additional short rotations – typically 2 – 3 weeks – in such areas as ear-nose-throat, dermatology, urology, orthopedics. “Specialty” internships place an emphasis in time, education and experience in one area, such as internal medicine or surgery, to the general exclusion of all other areas.